Hoboken Police Captain Eddie Garcia has been named to be Acting Hoboken Police Chief according to a reliable source outside the mayor's office. The switch becomes effective with the upcoming retirement of current Police Chief Anthony Falco scheduled for the end of this month. Captain Eddie Garcia will be stepping in to replace the outgoing Hoboken Police Chief Anthony Falco who was appointed chief back in 2009 effective July 1, 2014. 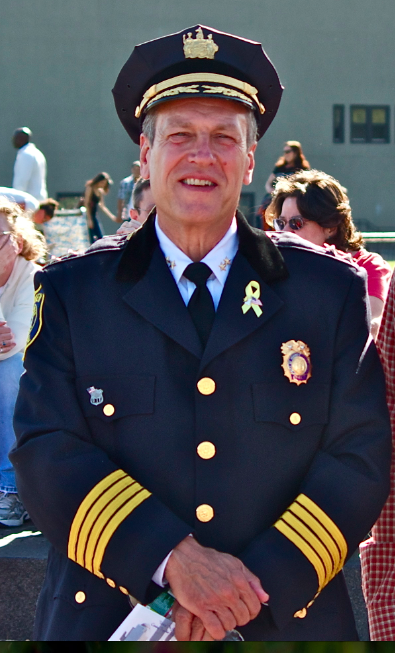 In 2009, Captain Eddie Garcia finished third on a state test and Chief Falco finished first and was later appointed into the position. Falco has served in the Hoboken Police Department for 43 years. The test results this year are expected in August and are often a major factor in the selection and appointment for Hoboken Police Chief. will be retiring at the end of June. Related: Anthony Falco was named Hoboken Police Chief back in this 2009 Hoboken Now story.